Elderly Mrs. Eliza Fairbanks went to the police to tell them that she suspected that someone was trying to kill her. The first clue was the arsenic which had been added to her sugar bowl. Now someone was putting bats and rats in her bedroom in hope that she would be scared into having a heart attack. 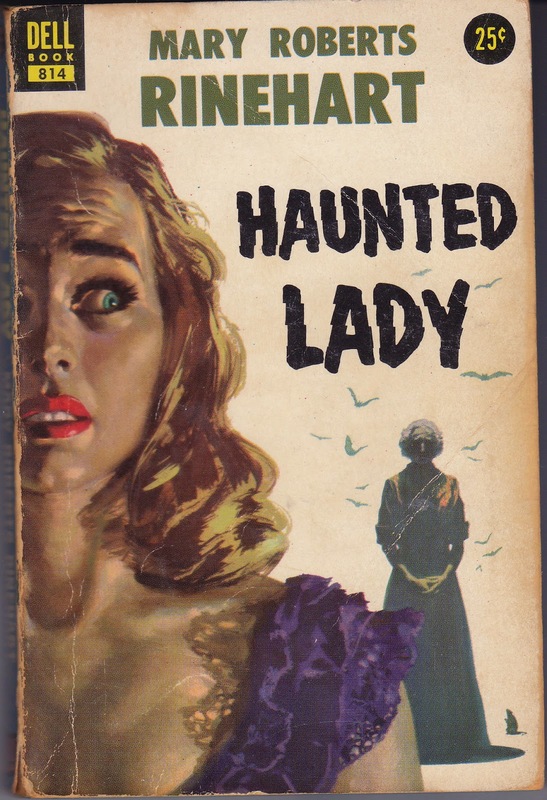 Inspector Fuller immediately thought of sending Hilda Adams to the Fuller home to investigate. Hilda was a trained nurse and Inspector Adams called her Miss Pinkerton because of the assistance she had given in other cases. Hilda found that Mrs. Fairbanks was apparently financially well off though other members of her family had been hit hard by the depression. In her house, lived her son Carlton and his wife Susie. His business had been ruined, and he now hoped to buy a small farm. Also living in the house was her daughter Marion who had been married and divorced to Frank Garrison who had left her to marry their daughter's governess, Edith. Their 19 year old daughter Janice also lived in the house, and she was quite interested in young doctor Courtney Brook who was her grandmother's doctor. His practice was not doing well, and Mrs. Fairbanks was possibly the only paying patient. There were also several servants living in the house, but they had been employed for a long time and seemed to be quite loyal to Mrs. Fairbanks. Everyone seemed to be very fond of Mrs. Fairbanks, though, of course Carlton, Marion, and Janice would benefit from her will. Hilda Adams inspected Mrs. Fairbanks' room and found no way that any bats or rats could have gotten into it. Everything seemed to be tightly sealed. In the room was a closet with a safe, but only Mrs. Fairbanks knew the combination. Each evening, Hilda took her post in a chair outside of Mrs. Fairbanks' room. Every evening was uneventful until the fatal night when Mrs. Fairbanks was murdered - stabbed in the heart. The solution to the problems of how the animals entered the bedroom, and how the murderer got into the room are really more interesting that the problem of who the murderer is. In her investigation, Hilda found clues in several places. The reader will probably note each clue discovered, but only Hilda can put them together to figure out how it all worked. 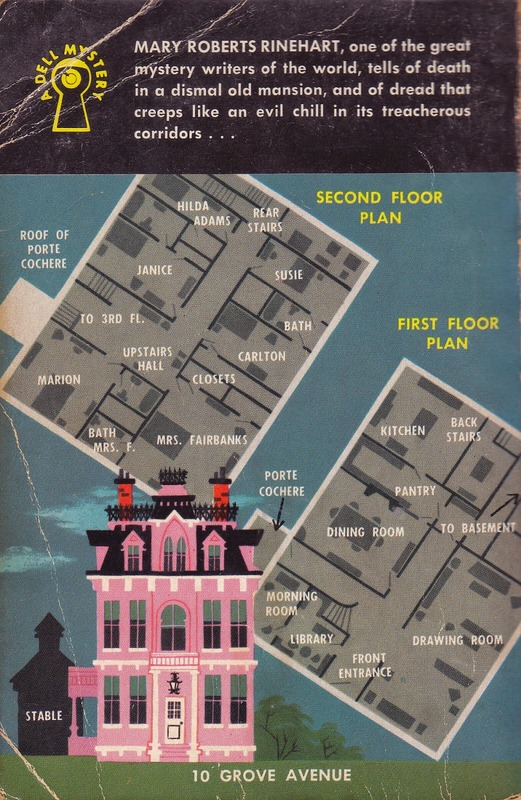 I read the Dell Map Back edition of this book, and having a map of the Fairbanks house was a big help in understanding how everything was carried out. I was a little disappointed in the final identification of the murderer though Ms. Rinehart tied everything up quite nicely. This book was published in 1942. Used copies are available on the Internet. 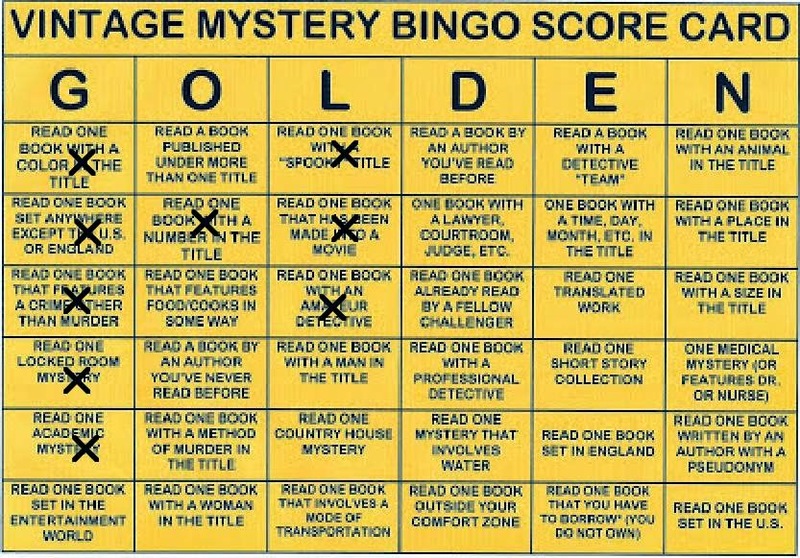 I read this book for the 2014 Mystery Bingo Challenge in the category of a book with a "spooky" title.